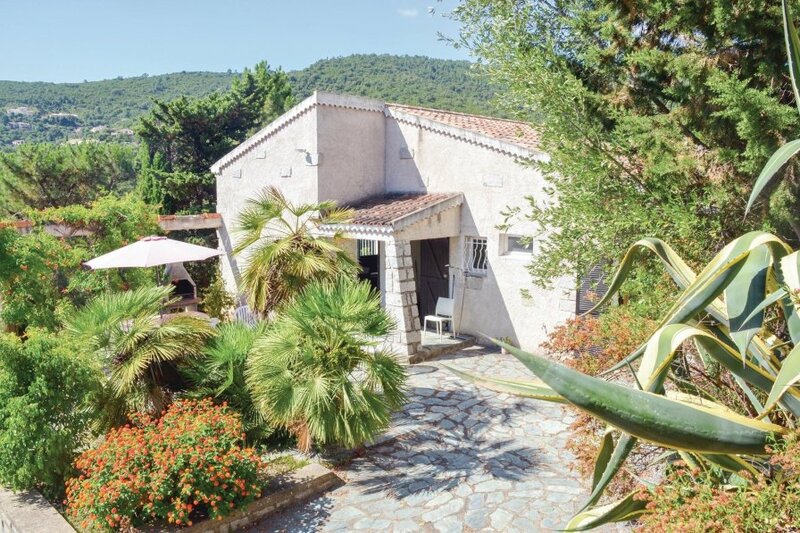 This large detached holiday villa is located in a complex of 15 holiday rentals in southern Corsica, between sea and mountain, 500m from the sandy beach of Tarco. This large detached holiday villa is located in a complex of 15 vacation rentals (FKO160 amongst them) in southern Corsica, between sea and mountain, 500m from the sandy beach of Tarco. It offers a large terrace with sea views, a swimming pool and a pool house. The residence is located in a nice 3 hectares park including 500 m² for your private use. The interior of the house is spacious, bright and comfortable. The village and its shops are 400m away, Porto-Vecchio is 25 km and Solenzara 14km away. If you want to enjoy cool air and a breathtaking view of the Gulf, the massif of Ospedale and its majestic forest of Lariccio pines is the place to go. The agent has rated it as a three star property so it is a well-kept villa, equipped with standard furniture. It is also good value for money. This villa has use of a shared pool and is located in Conca. It is set in a very convenient location, just 400 metres away from a sandy beach. There's also a restaurant only 400 metres away. The villa is well equipped: it has a refrigerator, microwave, washing machine and dishwasher. It also has a barbecue and a garden.